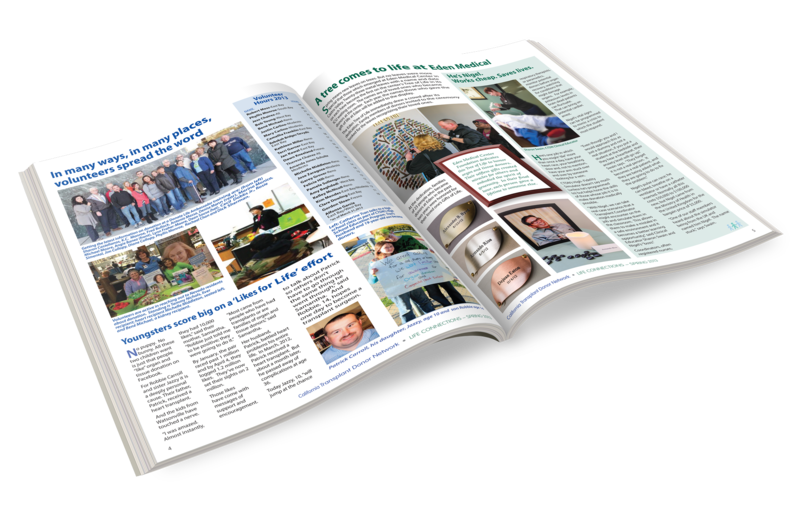 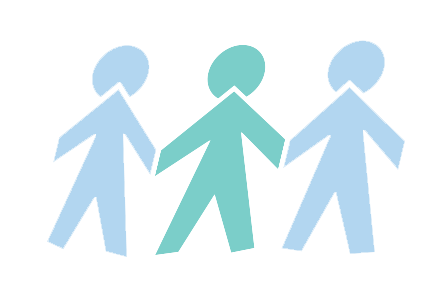 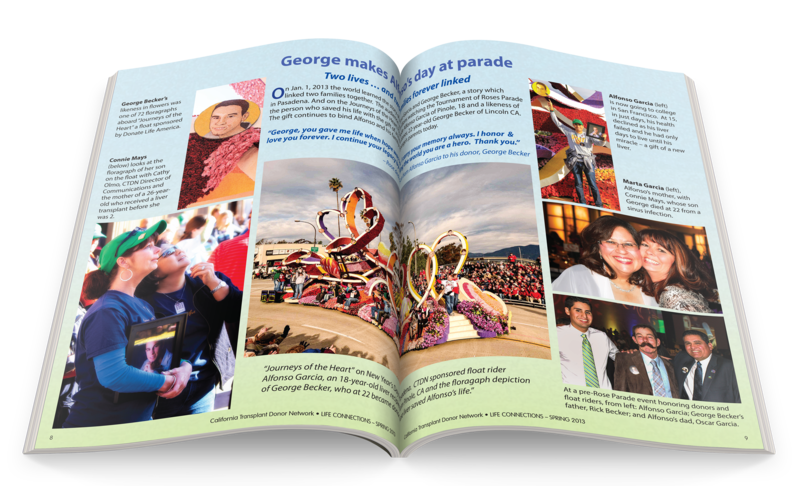 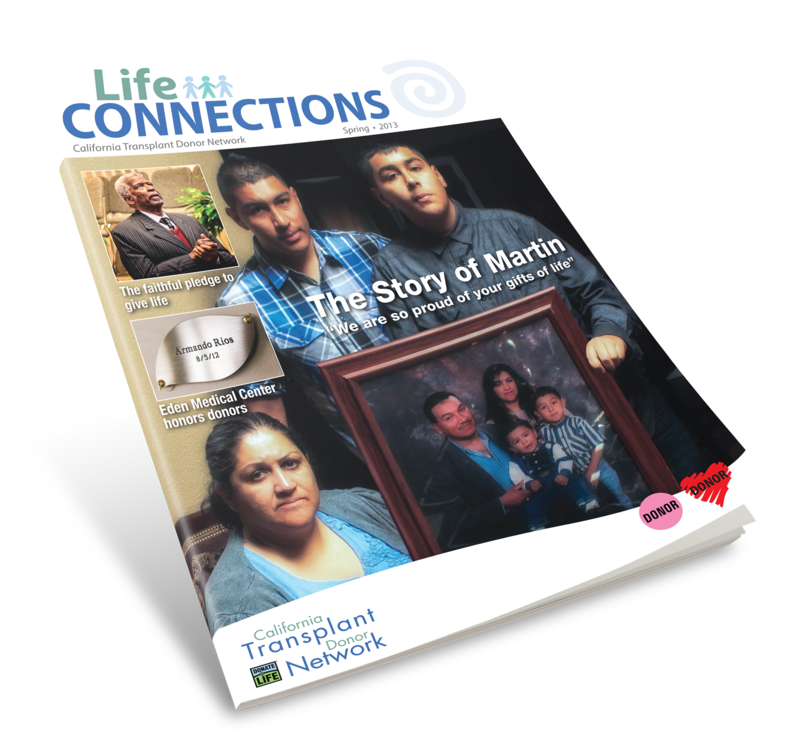 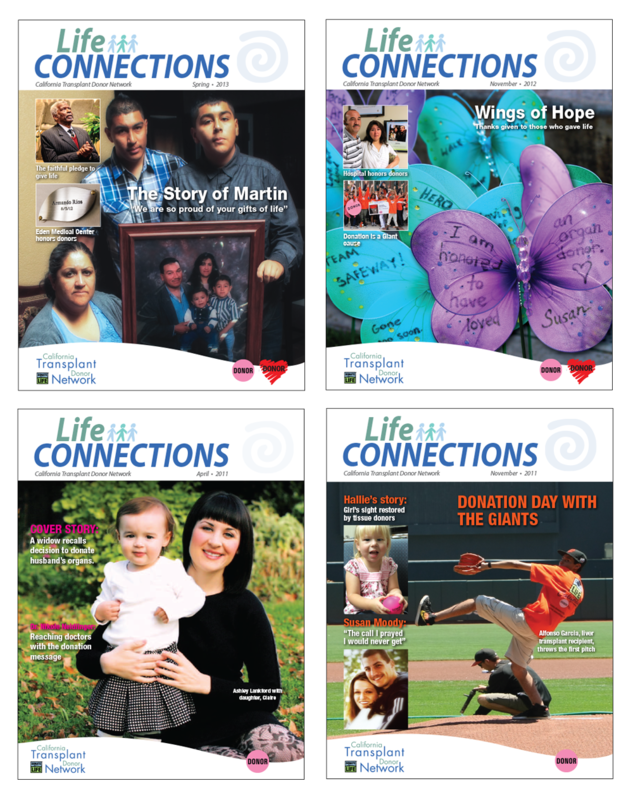 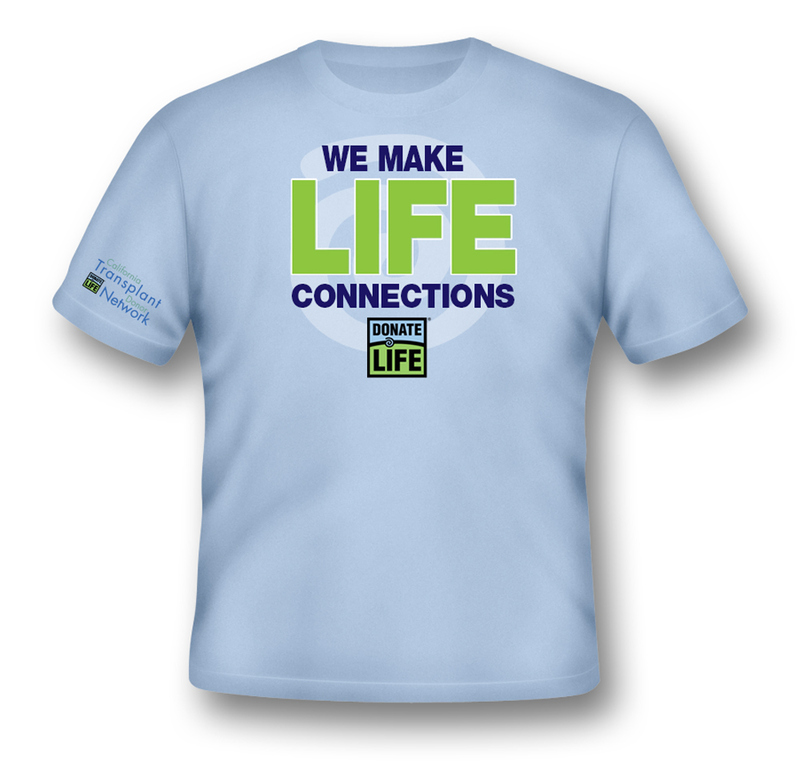 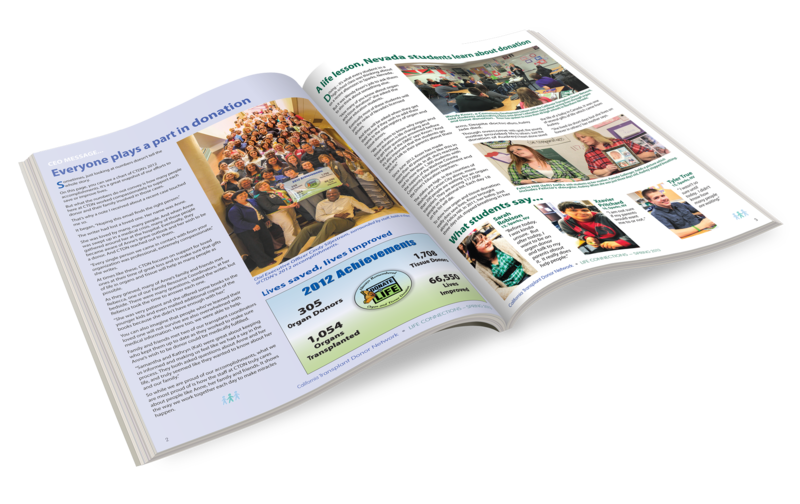 Life Connection's is the California Transplant Donor Network's bi-annual news magazine, featuring stories of organ and tissue donation, hospitals, doctors, donors, recipients, and community involvement and activity. 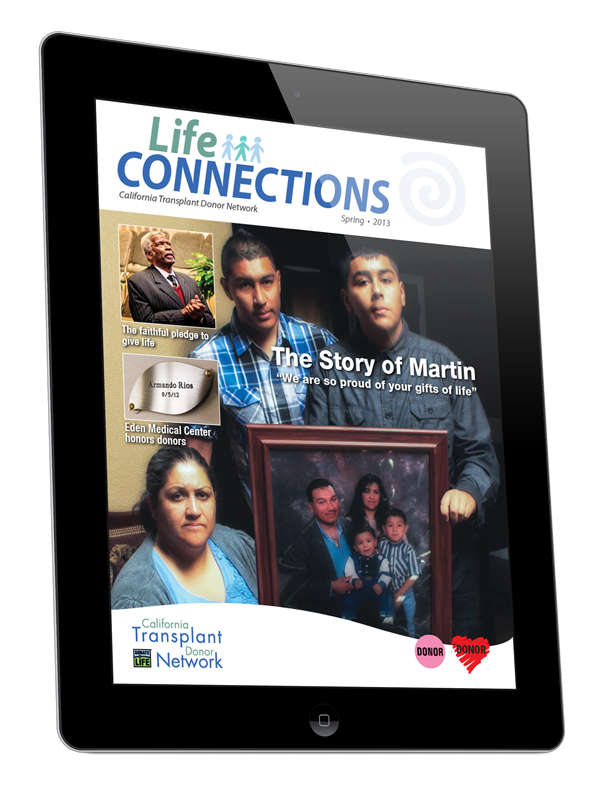 We designed the logo and brand as well as creating the magazine. 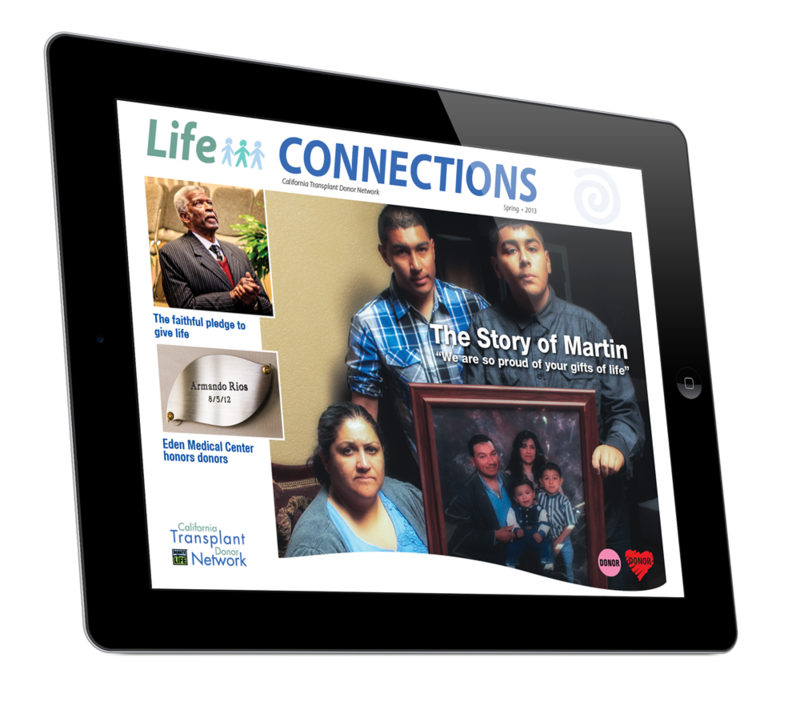 We also created an iPad version for delivery by website.